There’s an understandable tendency, in today’s complicated and strife-filled world, to grow weary of discussions of right and wrong. As many of us struggle to manage the daily challenges of family, friends, jobs and life – while maintaining some semblance of emotional equanimity – broader ethical questions often seem unapproachable. So we seek out shortcuts. An ice bucket challenge on Facebook to fight the ALS disease can resolve a lot of internal conflict: Boom! – pour a bucket of cold water on your head, maybe contribute to the charity, and you’ll feel a whole lot better about the state of the universe. Young people frequently get a bad rap in this regard. The stereotypical leaders of tomorrow are more likely to tweet commentary in 140 characters or less than to explore at length the intricacies of pressing societal issues. In the stereotype, they shoot from their smartphones and take no digital prisoners. The essay contest is intended for undergraduate full-time Juniors or Seniors at accredited four-year colleges or universities in the United States. Students may write about any topic they wish, as long as their essay explores the theme of ethics. The Prize in Ethics Essay Contest was established by the Elie Wiesel Foundation for Humanity in 1989; cash prizes are awarded to each of the top three winners and two honorable mentions. LRN is the exclusive corporate partner of the prize. These essays are notable for a number of qualities, notably their intelligence, clarity, logic and emotion. What’s striking is how each of the young authors addresses the broad question of culture and their own personal ethics and role in the world. The essays speak for themselves. 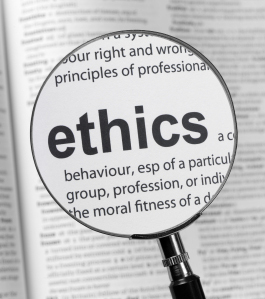 They offer insights into a number of specific ethical challenges. Maybe more important, they provide some encouraging evidence that young people now graduating from American colleges and universities understand the imperative of moral leadership and are prepared to assume that responsibility. NextExploring the Ethics of National Loyalty: The New Compromiso – Mexican Students Abroad in the U.S.